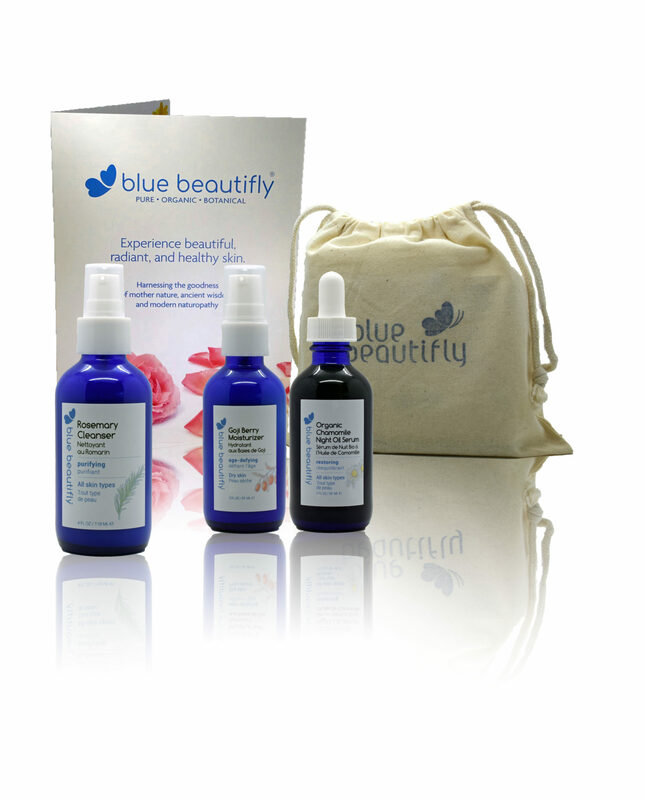 Age Denying Bundle includes anti-aging products that are filled with rejuvenating floral, herbal, and fruit extracts combined with precious omega-rich oils. 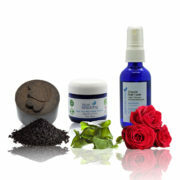 This bundle is designed to promote a younger and more vibrant complexion by hydrating, firming and conditioning the skin. 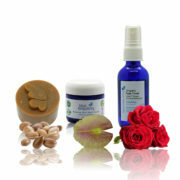 The skin will look nourished and supple. 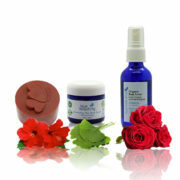 Use Rosemary Cleanser in your daily skin cleansing routine followed by Goji Berry Moisturizer. Each night, apply Organic Chamomile Night (Regenerating) Oil Serum before going to bed to nourish the skin while sleeping. Refer to product packages for more detailed instructions.